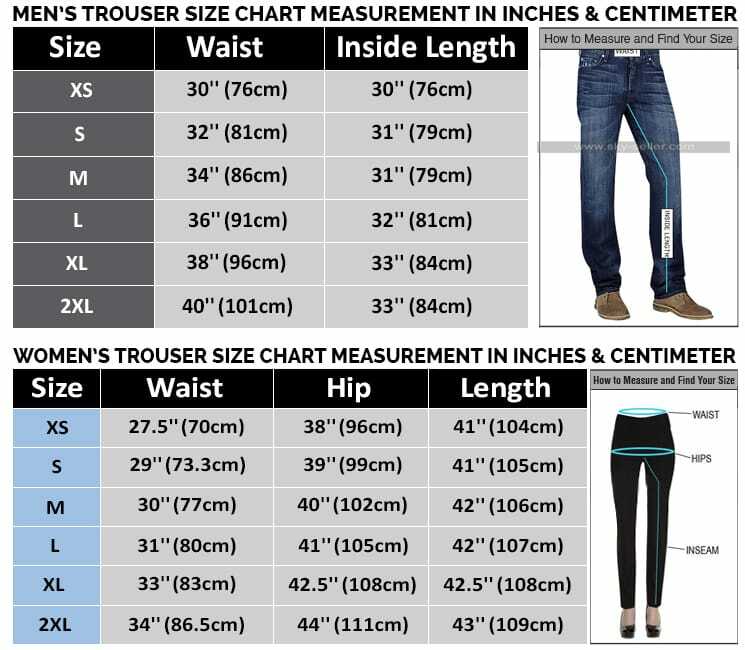 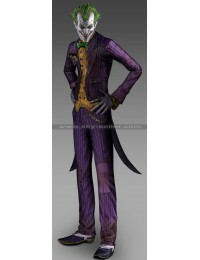 Some people really love to be an eye catcher and center of attraction; they always prefer to buy funky style attires. 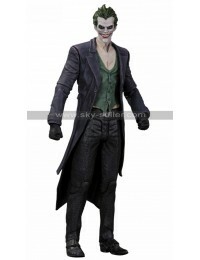 Here, Sky-Seller has brought this outstanding and fancy coat, inspired from Batman Series “Arkham City”. 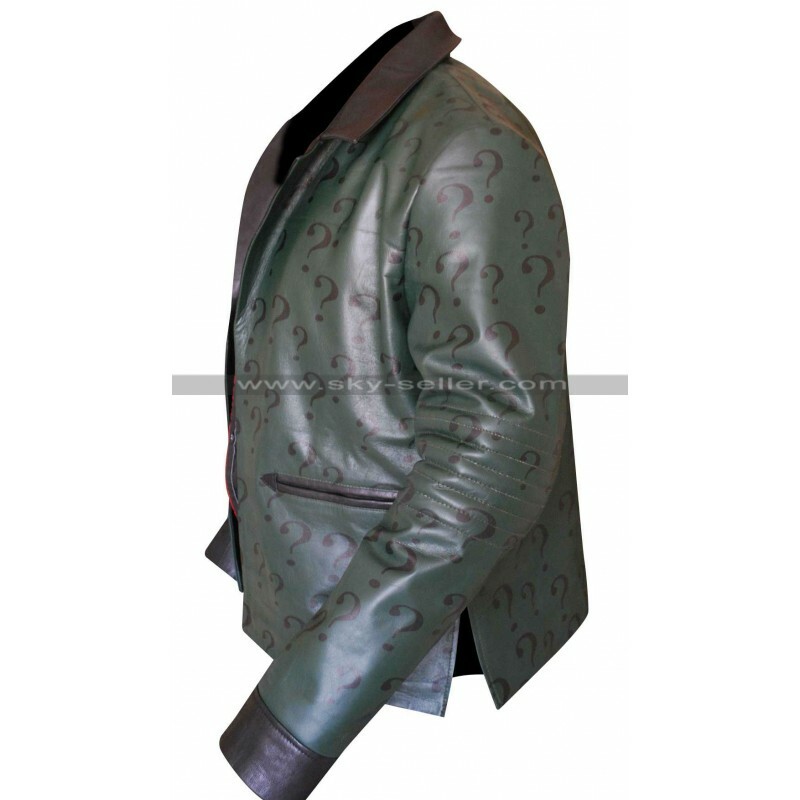 The Coat was originally worn by Edward Nigma. 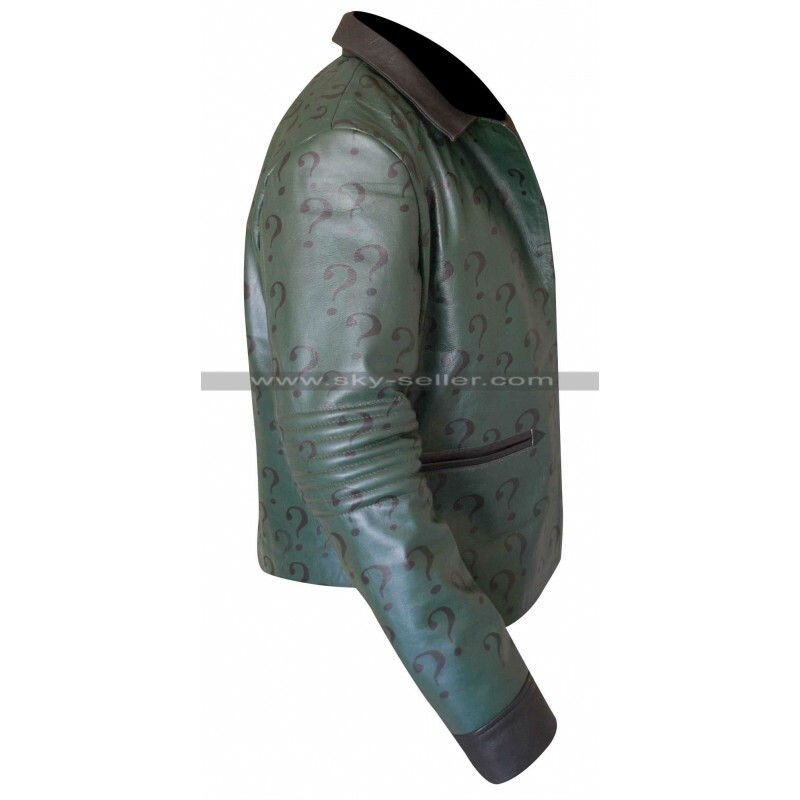 The coat is finished with 100% real or faux leather with the combination of green Viscose lining. 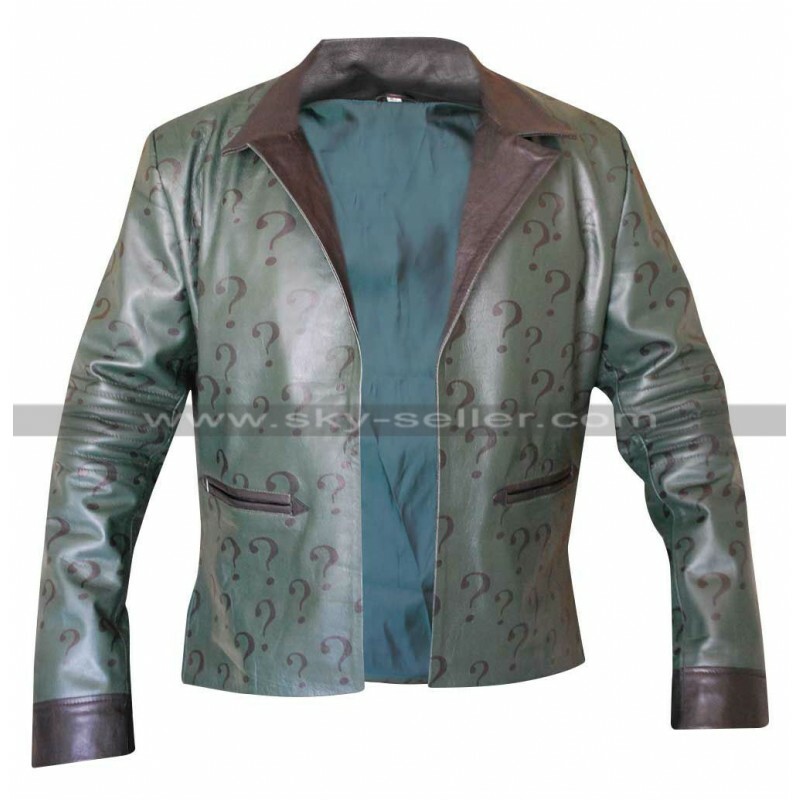 Green color with brown contract on collar and hem cuffs is looking fabulous. 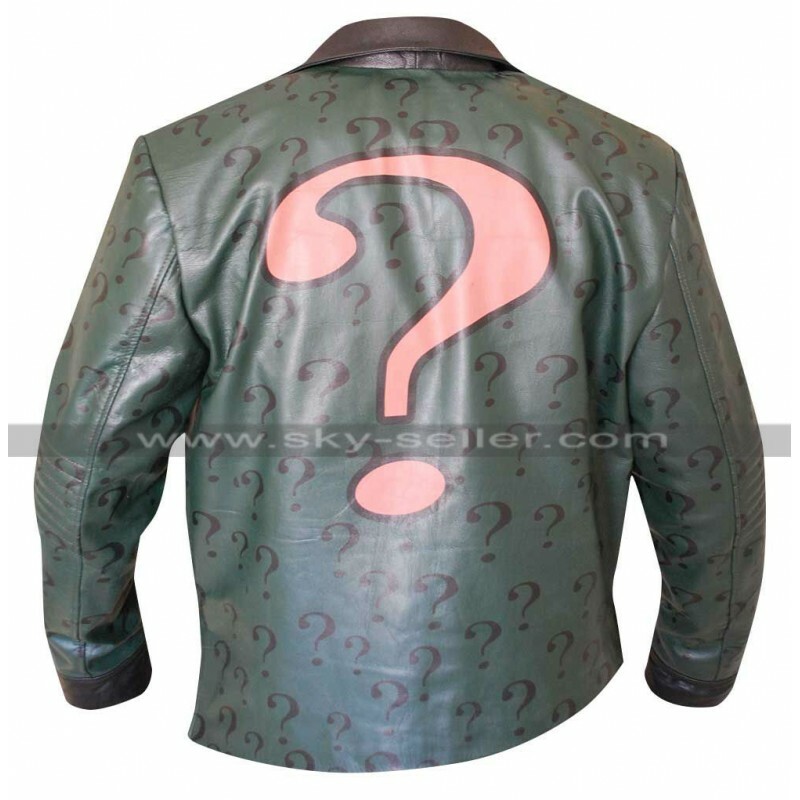 The coat has Question mark printed all over while a big Question Mark on the back of the jacket is looking astonished. 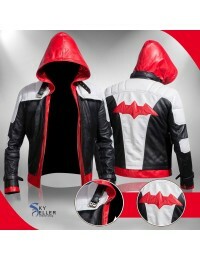 The coat is portraying the real taste of funky and stylish people. 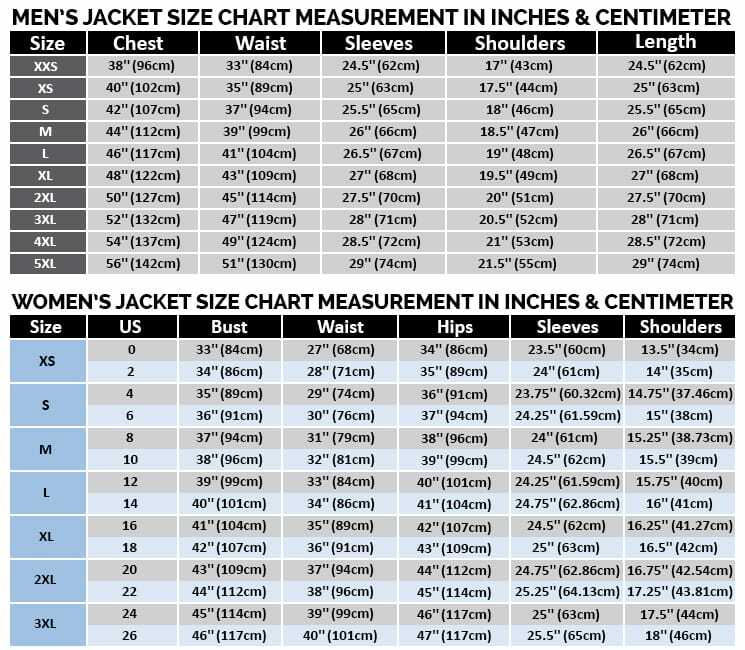 The coat is Available in eight (2XS-3XL) and customize sizes.